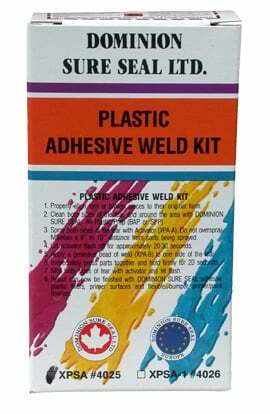 Sure Seal Adhesive Weld Kits are high performance grade cyanoacrylate adhesives. They are designed to provide maximum bonding strenghths of various plastics, elastomers and metals together or in combinations of these materials providing high temperature ranges, impact strengths, solvent resistant and excellent overall performance on automotive substrates. Will not crack or craze and is capable of penetrating between parts.